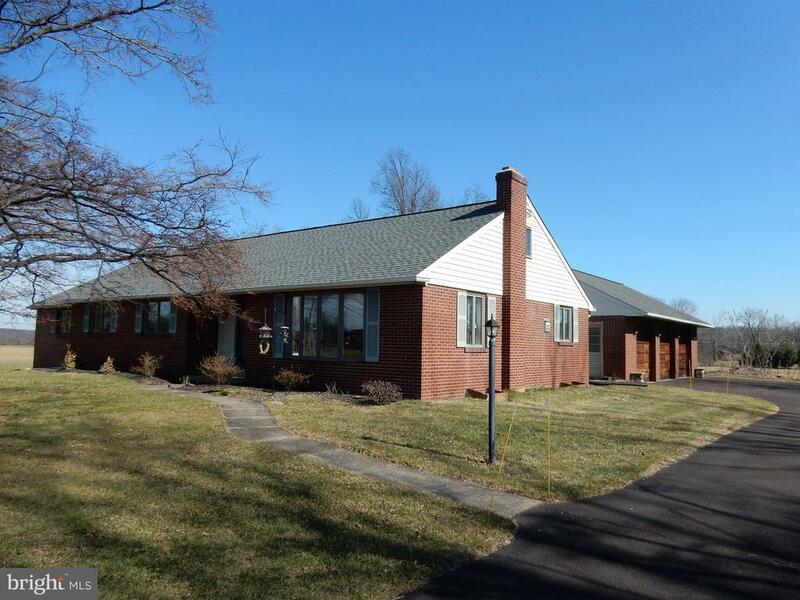 This Unique 6.97 Acre Corner Property in Bedminster Township Offers an Endless List of Options. Whether You are Interested in Exploring Subdivision Possibilities, In Need of an All Brick 4 BR, 2 Full Bath Ranch Home or Have Storage Requirements that Can be Met with a Huge Double Pole Barn then this Property is the Perfect Opportunity for you. The Ranch Home has been Recently Painted throughout and Features a Large LR w/Bow Window, Big Kitchen w/Breakfast Area and Master BR w/Private Bath. A Floored Walk up Attic & Full Basement Provide More Storage Space then Youll Ever Need yet on Top of that there is an Amazing 3 Car Attached Garage with Soaring Ceilings Accessed through an Enclosed Breezeway. A Circular Driveway Surrounds the Home and Leads the Way to an Unbelievable, well Maintained Double Pole Barn ... One is 20 X 20 and the other is 30 by 48. Plus there is Also an Attached Car Port. As a Bonus the Roof and Heating System on the Main House are less than 7 Years old. Dont Wait to take a Look at this "One of a Kind" Property and Realize the Current and Future Potential that it Presents.